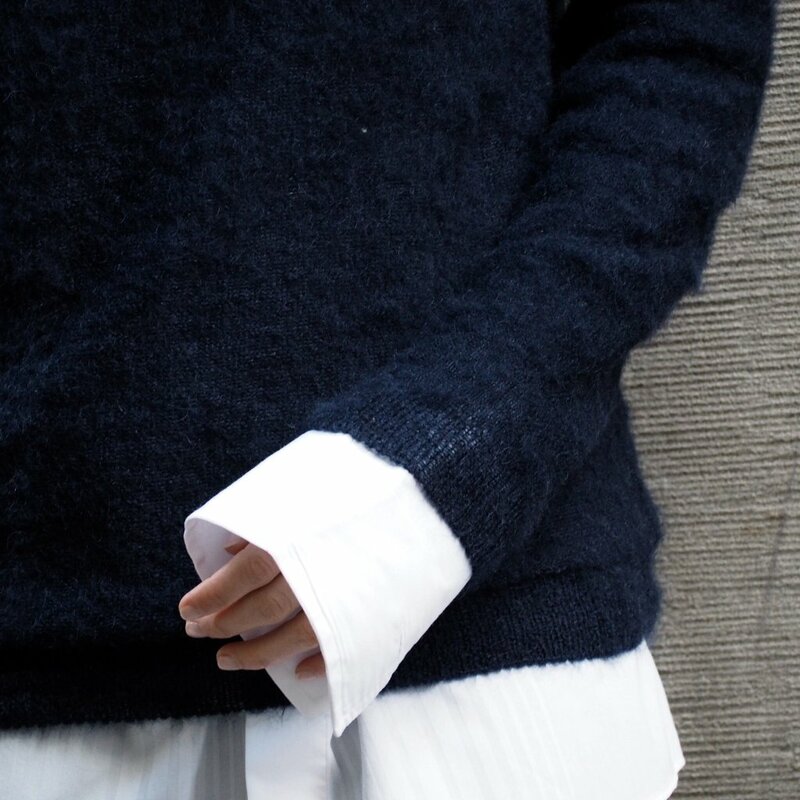 “The sweater is a midnight shade of navy so quite dark. I was going to wear it with blue denim (which looks amazing) but decided to try a navy and black look to see if I could make it work (I like a challenge). I think I pulled it off, what do you reckon?